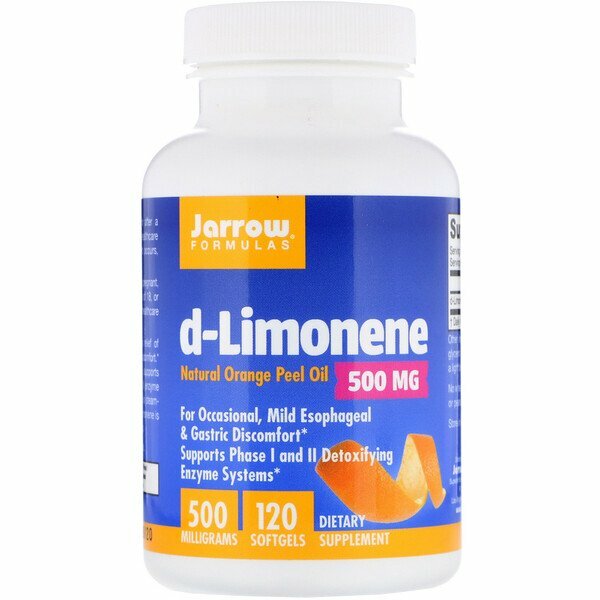 Jarrow Formulas d-Limonene provides relief of occasional, mild esophageal and stomach discomfort. As a triterpene lactone, d-limonene also supports the liver's detoxifying phase I and phase II enzyme systems. Jarrow Formulas d-Limonene is steam distilled from orange peel and purified. d-Limonene is the major constituent of citrus essential oils. 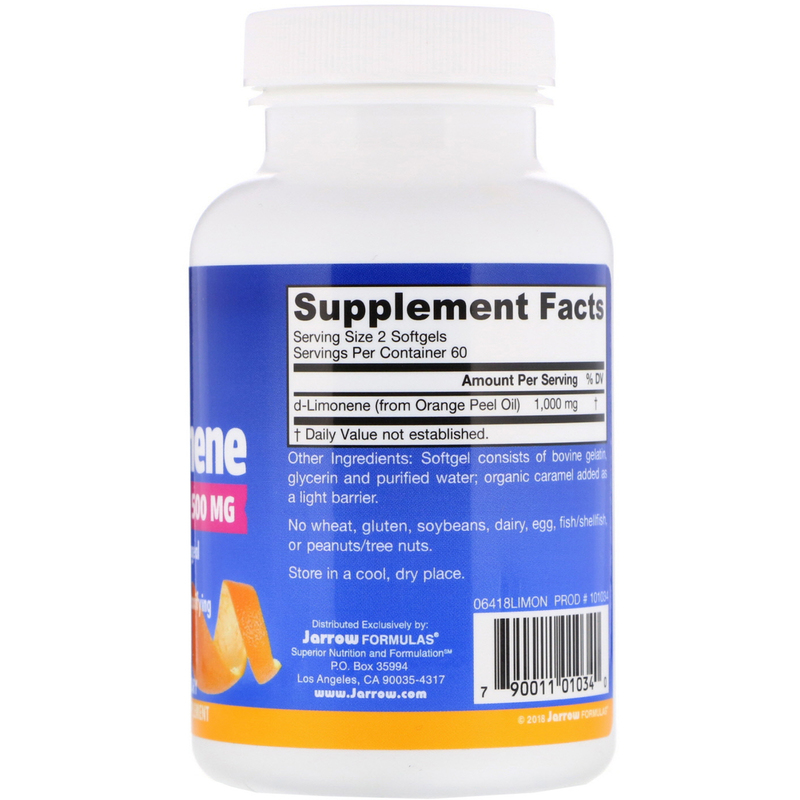 Take 2 softgels per day, with or after a meal or as directed by your qualified healthcare professional. If persistent stomach upset occurs, discontinue use. Softgel consists of bovine gelatin, glycerin and purified water; organic caramel added as a light barrier. Note: If you have a medical condition, are pregnant, lactating, trying to conceive, under the age of 18, or taking medications, consult your qualified healthcare professional before using this product.